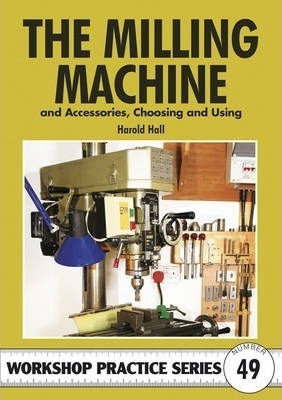 This book deals with the process of choosing and using a milling machine and its accessories. In addition to the machine itself, the accessories include the cutters, cutter chucks, workpiece clamps, vices, angle plates, dividing heads, rotary tables, boring heads and other minor items. The content is divided into three main sections. Firstly, it describes what machines and accessories are available and covering each one in detail. The author explains which are essential and which can be obtained when the workshop activity eventually demands one. There are also suggestions on how the equipment chosen should be installed. The usage of each machine and accessory is covered for all but their most complex uses. Typically, using the rotary table and the dividing head are both described to a detail sufficient for the majority of uses that will surface in the home workshop. The third section deals with the actual machining process, covering the choice of the cutter for the task in hand, the speeds to use and how the direction of the feed relative to the cutter rotation is vitally important. A less-understood feature of milling, back cutting, is also explained. The subject of sharpening milling tools is briefly covered and a simple off hand grinder fixture that will bring new life to a used end mill is described.